The newest product from ASUZAC ACM. This design is base on the essence of culture and architect. 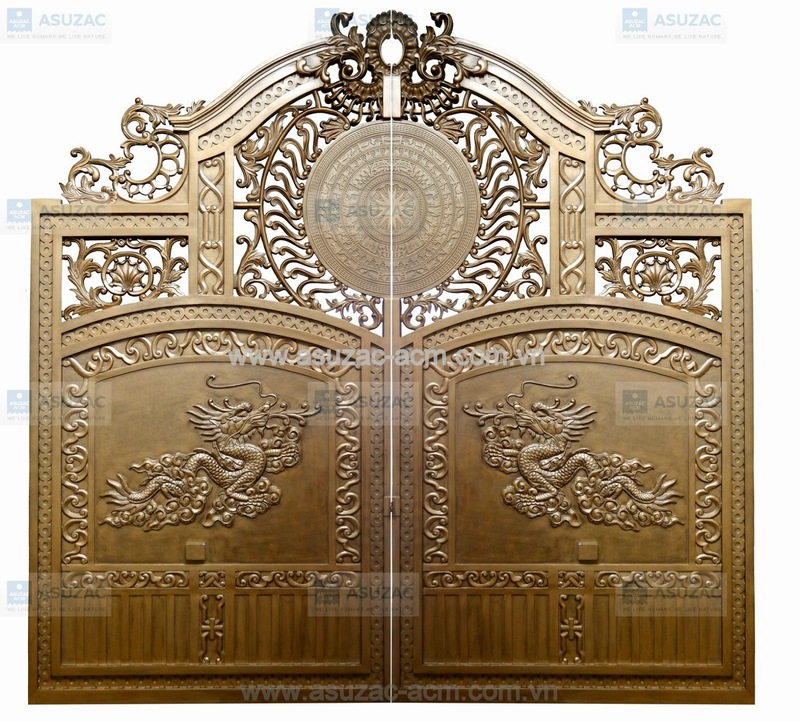 Recently, based on a conscious decision to combine the design style of Europe and Asia, ASUZAC ACM has introduced a new product called Buckingham Mini villa gate. Basically, the style Mini Buckingham right as its name implies, formed based on the original main gate of Buckingham Palace, the palce that British Crown live. 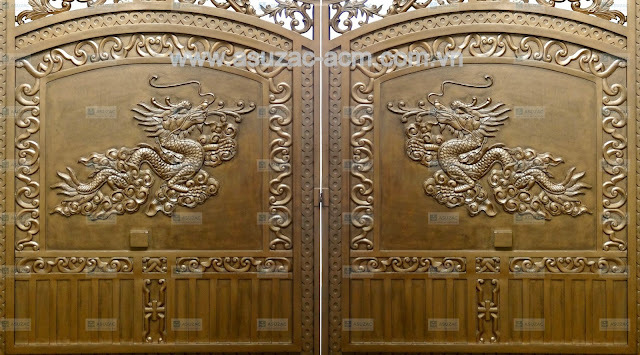 With the general characteristics of western style design , distinctive thunay maucong carry bulky appearance , the flowers are still prominent reliefs , suitable for villas or French antique style. Despite this appearance but when review detail pattern, we feel this is a pure product of Asia, pure Vietnam. The top of the gate, we can easily recognize these images, patterns characteristic of Vietnam bronze drum surface, a typical cultural features of the ancient period of national construction. 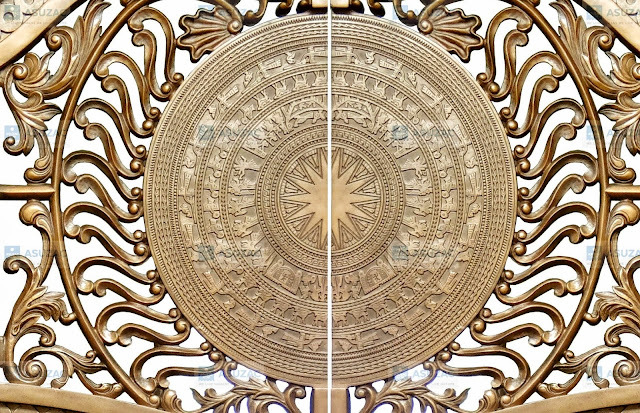 The superiority of the ACM ASUZAC molding technology which allows the current owner to accurately represent motifs like birds Lac, 14 wings and star motifs unusual characteristic is shown on ancient Vietnamese bronze drum. 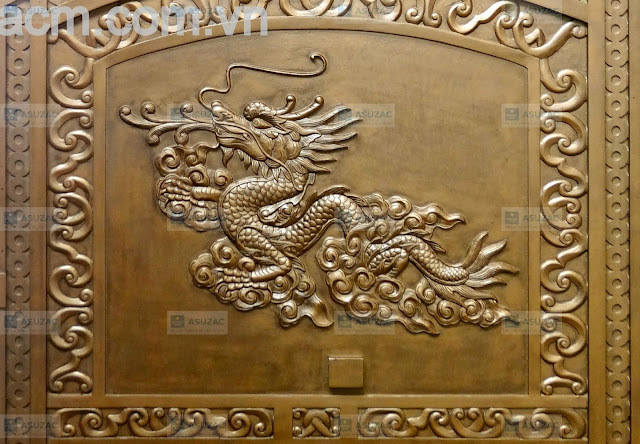 The bottom half is solid style with 2 dragon riding the clouds, head towards soar. Considering the significant figure , as well as significant feng shui, this image is seen as symbolic for career advancement, to bring good luck, health and happiness to the owner. 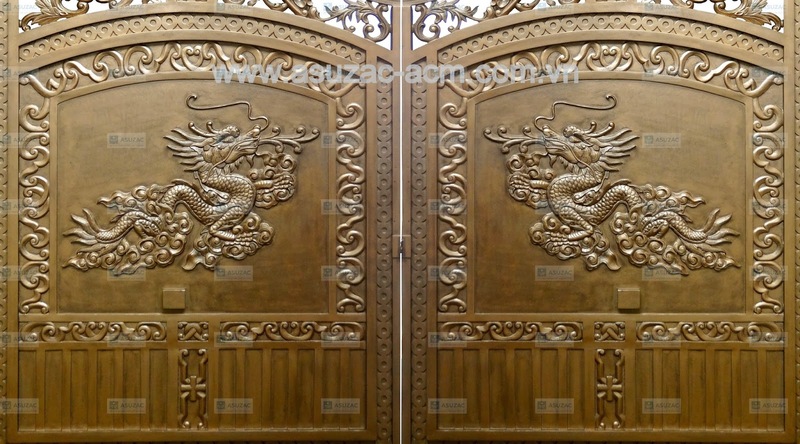 Just like the previous product ASUZAC ACM has designed and manufactured, Buckingham Mini is a product -oriented to high -end market, but also still shows high compatibility to harmonize with most style architecture - building popular nowadays. W. 2712 x H.2610 . + Weight: 350 kg . + Color : Antique Copper / Antique Grey .